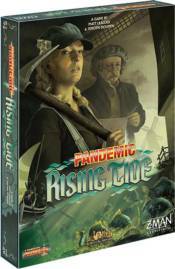 In Pandemic: Rising Tide, it is your goal to avert tragedy by constructing four modern hydraulic structures in strategic locations that will help you defend the country from being reclaimed by the ocean. Storms are brewing and the seas are restless. It will take all your guile to control the flow of water long enough to usher in the future of the Netherlands. It�s time to get to work.